Don’t make a costly mistake converting universal waste into elemental mercury. Companies from around the country are just beginning to feel the effects of recent federal legislation regarding the United States ban on exporting elemental mercury and for many it is becoming a costly lesson. Faced with a significant increase in the cost of disposal of mercury contaminated products, such as thermometers, mercury switches and blood pressure machines, many uninformed businesses are extracting the mercury thinking it is cheaper to reduce the overall volume of waste by separating metal, plastics, and glass and collecting and disposing of the small amounts of mercury on its own as hazardous waste. Because the amounts of mercury are typically small, the thinking is that this is a way to reduce hazardous waste volume and save a few bucks. Not only is extracting mercury a significant business liability and health hazard for your employees, THIS PRACTICE IS A COSTLY BUSINESS MISTAKE. In 2008, the United States Government signed the Mercury Export Ban Act into federal law. The intent of this legislation was to protect workers around the globe that are exposed to mercury in nations that have lax worker’s health and environmental standards. Mercury is an extremely toxic substance that can produce dangerous effects to the central nervous system with repeated acute exposure. 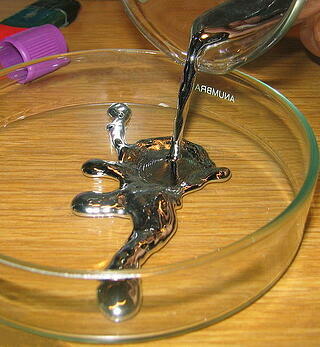 Prior of the passage of MEBA, the United States was the world’s leading net exporter of elemental mercury. Because of this market leadership, it is hoped that banning exports from the United States will shrink the world-wide supply and force global businesses to seek safer alternatives. There are three major components to MEBA. As of January 1, 2013, storage of elemental mercury was approved at a small number of commercially operated, Resource Conservation and Recovery Act (RCRA) permitted facilities until the Department of Energy has designated and constructed a long-term storage facility. For hazardous waste generators and recyclers, MEBA has had an important implication. The treatment and disposal for mercury-contaminated waste types has seen a sharp increase in price since January 1, 2013. Under RCRA, these waste streams are designated as Universal Waste. Businesses and industries that qualify as universal waste handlers must follow specific requirements for storing, transporting and disposing of these wastes under RCRA legislation. The costs of long-term storage for mercury disposal. Even though the cost of disposal for commercially produced mercury-contaminated waste has increased significantly creating sticker shock for some, disposing of it IS a one-time expense as universal waste to the hazardous waste generator. Once it is gone, you don’t have to pay for it ever again. By trying to reduce the weight and volume of your waste streams by extracting the small amounts of mercury in commercial products, collecting it and throwing away the heavier plastic and metal, you have changed the characteristic of the waste stream from a commercially produced universal waste stream to elemental mercury. To dispose of elemental mercury as a hazardous waste, a hazardous waste generator (YOU) must purchase a special container that is typically more expensive than the cost of universal waste disposal, pay a special handling cost each time elemental mercury is added to this container, and then you are subject to a monthly storage charge (currently $45 per month) for that container at a DOE storage facility for life. The EPA and DOE have not given any specifics, but for the time being, there are no plans to ever release or use these stores, and these facilities are being constructed to last a minimum of 40 years. At $45 per month per container, this cost can really add up. This is a case where trying to save in the short term can ending up costing a business significantly in the long run. This is a mistake that many companies are currently making, specifically, companies that are not used to dealing with hazardous waste streams and its costing them dearly. Demolition contractors, medical equipment companies and medical facilities, plumbing, HVAC and sump pump contractors are among the types of businesses that may be inadvertently running afoul of these hazardous waste laws and subjecting themselves to significant long-term costs. It is important to become educated about the laws dealing with mercury contaminated products and save yourself and your company from these headaches. This is a case where working with an experienced hazardous waste disposal company is worth its weight in gold. Are you working with mercury contaminated products? Give us a call to find out how we can help.